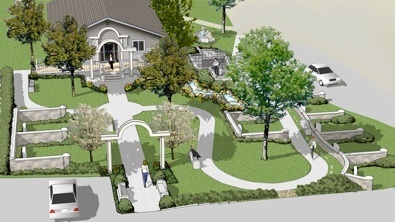 We specialize in cemetery master planning and site design. We provide these services to private, public, and not-for-profit cemeteries throughout the country. Our goal is to help you achieve the full potential of your valuable land resources. 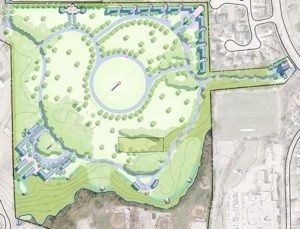 Every cemetery has a unique set of opportunities, needs, and goals for their future growth and development. We will work with your team to establish strategies for land utilization and site improvements that will enhance your ability to operate efficiently, competitively, and profitably. includes your active participation in the planning process. This allows us to establish a detailed understanding of the issues and the objectives for development from the administrative, marketing, and operational viewpoints. is based upon the belief that physical planning solutions are shaped by marketing, economic, and operational factors just as they are shaped by site conditions and agency approval criteria. We can help you coordinate the services that are associated with these cemetery planning and project implementation tasks; including the procurement of site surveys and the incorporation of environmental, architectural, and traffic criteria into the planning process. Jack Goodnoe is also an experienced community planner and facilitator. He can assist your cemetery in the communication and consensus building processes needed for public reviews and agency approvals. We welcome the opportunity to discuss your cemetery’s planning needs with you. Master Plan for contemporary burial systems in a historic tradition.